Louis Grachos, director of the Contemporary Austin, says the museum wants to share its collection with the community. At right is Iron Tree Trunk, a sculpture by Chinese artist Ai Weiwei. The Contemporary Austin has been making headlines lately – first with the installation of two sculptures by Chinese artist Ai Weiwei, then with news that it will transfer its indoor art collection to the Blanton Museum. It turns out, this is all part of a larger project meant to turn Austin into a "museum without walls." Contemporary art museums tend to be sparse white spaces filled with echoing footsteps and whispered conversations. But that’s not the case at Laguna Gloria, the historic estate turned sculpture park owned by the Contemporary. The backdrop for art here is green foliage and birdsong. “What we have learned about contemporary art is that when integrated into open air, whether it’s a beautiful natural setting like this or a dense urban center, it can have great impact," said Louis Grachos, director of the Contemporary. "It also is a great entry point for people who are just beginning to learn about art." Visitors to Laguna Gloria are greeted by Looking Up, a 33-foot sculpture by artist Tom Friedman. The statue is a human-like figure that is, as its name suggests, looking up. It’s made of tinfoil pans, which catch the afternoon light in a way that’s almost blinding. 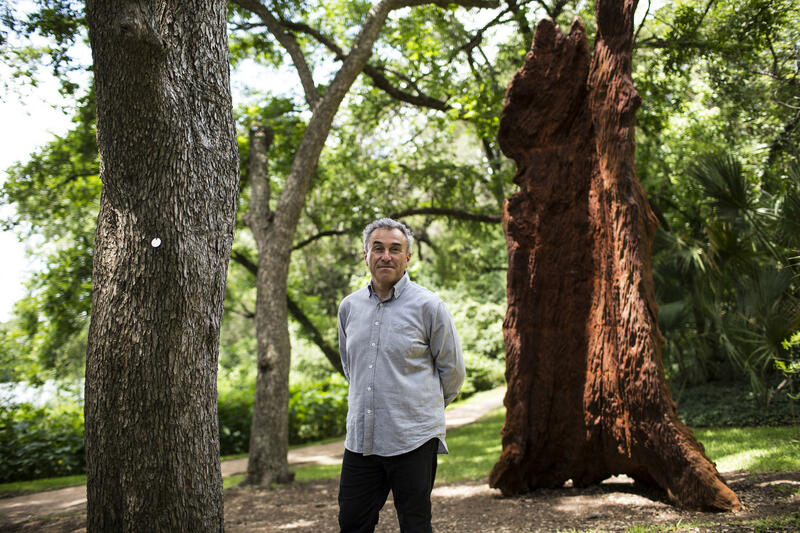 It's the first piece the Contemporary secured, Grachos said, and helped set the tone for the rest of the sculpture park, which focuses on the relationship between nature and art. Looking Up, a 33-foot sculpture by Tom Friedman, helps set the tone for the sculpture garden, Grachos said. “Despite its scale, it’s still very modest and humble as this figure looks up into the sky in great wonderment,” he said. Down a path and to the left, there's another subtle monument to the natural world: a 15-foot-tall tree trunk cast in iron that has oxidized over time. The piece is one of two Ai Weiwei works the Contemporary helped bring to Austin this year. The other is Forever Bicycles, located at the Waller Delta. 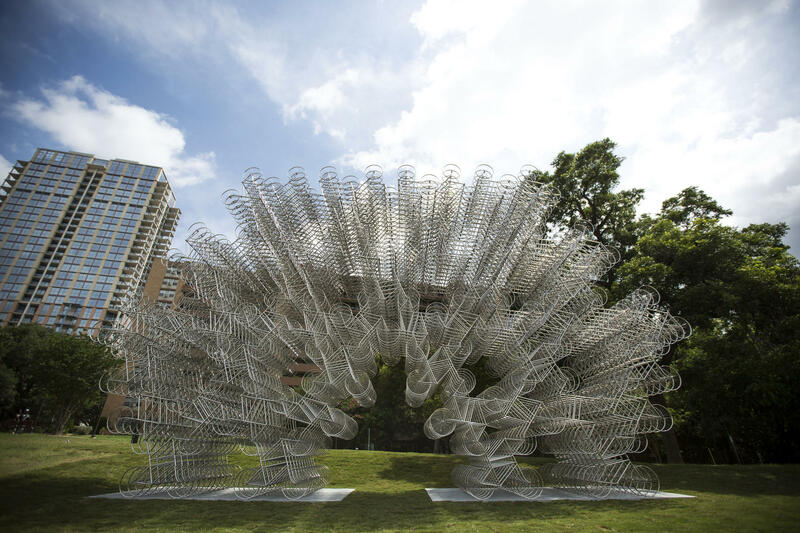 Ai Weiwei's Forever Bicycles is in Austin on long-term loan. 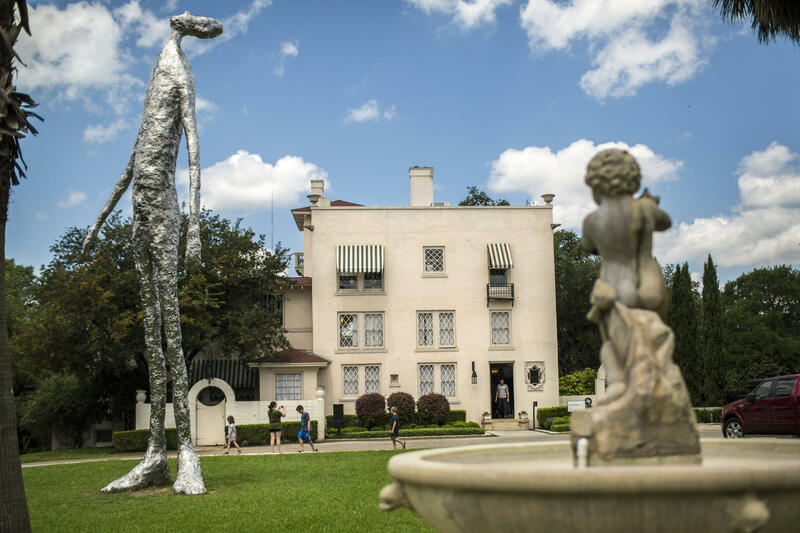 The Contemporary has been quietly expanding its outdoor sculpture collection since 2013, thanks to a $10 million grant from the Edward and Betty Marcus Foundation to secure and commission outdoor art at Laguna Gloria. Although the museum has only just started to spread its collection beyond the sculpture park, Grachos said, that was part of the plan all along. “We came up with a philosophy as we formed the mission of this museum and have called it our 'museum without walls' program," he said, "and that means for us that we hope to share our collection with our community as it grows, and sometimes that means a neighborhood park." 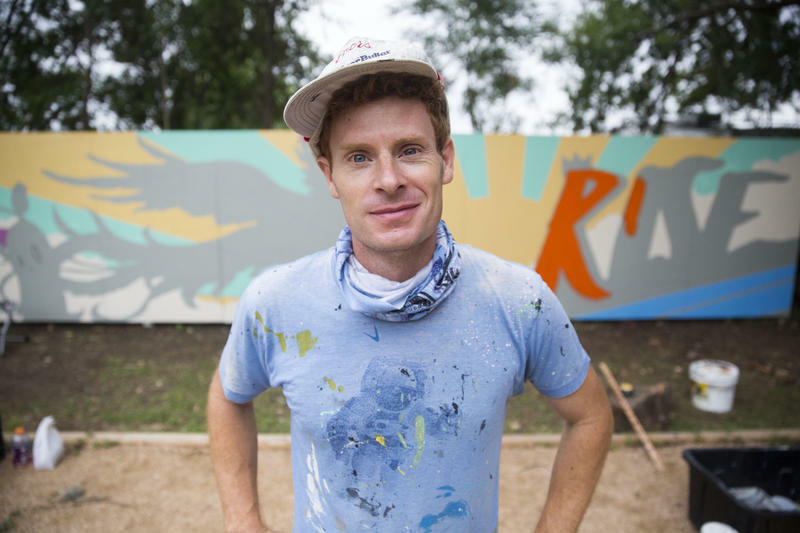 So far, the Contemporary has partnered with the city to put three works of art on display at Perry Park, in addition to partnering with the Waller Creek Conservancy to bring the Ai piece to Waller Delta. Works from the museum’s collection are also on view at St. Michael's Catholic Academy and the Umlauf Sculpture Garden & Museum. The museum also plans to exhibit pieces from its sculpture collection at the Elisabet Ney Museum and Pease Park, as the park undergoes an extensive renovation. The renovation, which is set to get underway this year, will include a new walking path and visitor center. Correction: A previous version of this story referred to the Edward and Betty Marcus Foundation as the Betty and David Marcus Foundation. As rents for residents and businesses continue to climb, Austin City Council has approved a plan to help the city’s artists afford to keep their venues and creative spaces. For years, Mike “Truth” Johnston has been pasting his colorful portraits of icons from Michael Jordan to Martin Luther King Jr. on dumpsters, billboards and electrical boxes around the city. 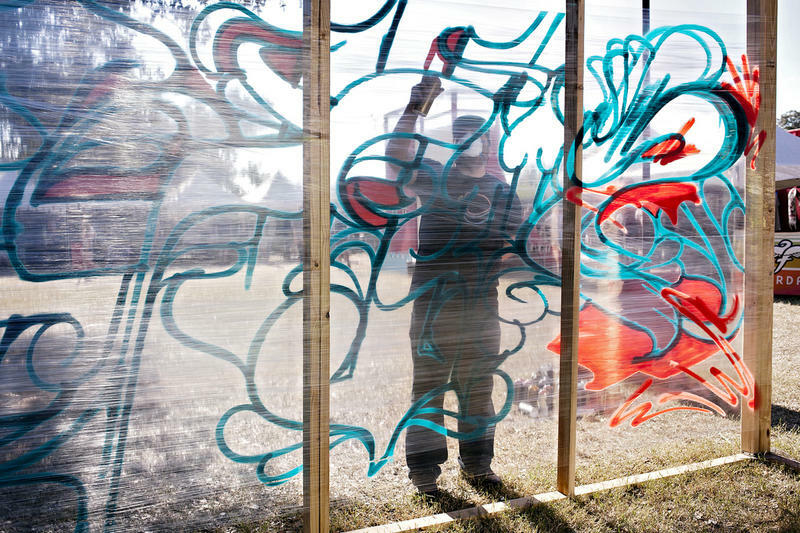 KUT’s Syeda Hasan caught up with the Austin street artist to learn more about his creative process. 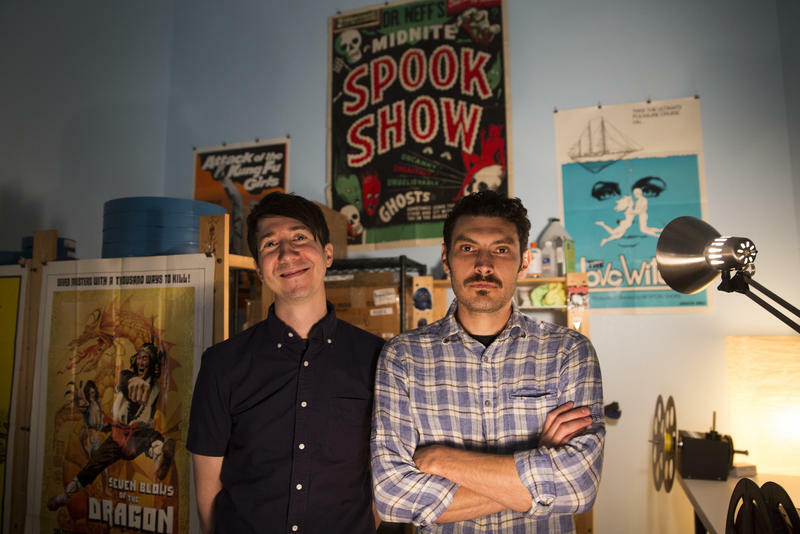 Tim League, the founder and owner of Alamo Drafthouse, has been quietly collecting film prints of obscure movies from the 1960s and '70s for the past two decades. This year, League will begin producing DVDs based on prints from the collection.